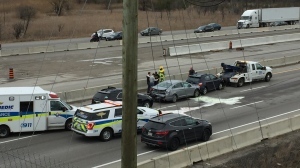 Police in the Niagara Region say they are now searching for just one suspect in a shooting that wounded three people in St. Catharines, Ont., last week. Investigators had initially said they were looking for two young men in connection with Thursday's shooting. Police say their probe has now determined that one person is allegedly responsible for the incident, which they believe was not a random attack. They say the suspect is believed to be a man in his late teens to early 20s. Police say anyone who knows who the suspect is should encourage the man to contact a lawyer to arrange a safe and peaceful surrender. 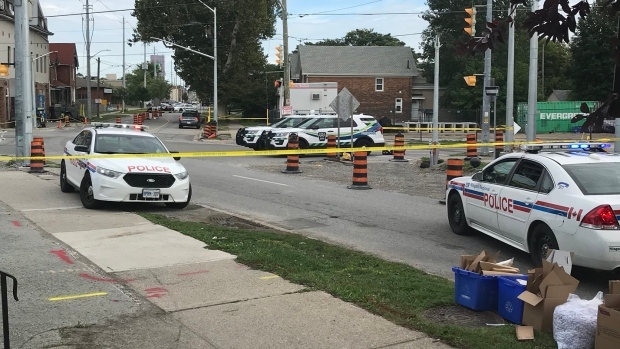 Last week's shooting in downtown St. Catharines prompted a significant police response, saw local streets shut down and kept residents out of their homes for hours while investigators combed the area.